How Much Does It Cost To Treat A Brain Injury? Each year, traumatic brain injuries (TBIs) cause thousands of deaths and permanently disable thousands of other persons in the U.S. If you suffer a traumatic brain injury in a traffic crash in Illinois – or in some other accident scenario – what are your rights? Can you be compensated? What if you’re permanently disabled? Can brain injury law firm in Chicago help? TBI may be caused by a blow, bump, or jolt to the head or by an object penetrating the skull. The severity of a traumatic brain injury may range from “mild” to “severe.” Doctors usually describe concussions as “mild” brain injuries since concussions are seldom life-threatening. Still, the long-term effects of even a mild brain injury can be quite serious. Traffic crashes are a primary cause of traumatic brain injuries, and traffic collisions are the leading reason for TBI among persons ages 18 to 44. If you sustain a traumatic brain injury in a traffic collision and a negligent automobile, truck, or bus driver or motorcyclist is at fault, the law entitles you to full compensation for your medical care – past, present, and future – and compensation for lost wages and all other related damages. Traumatic brain injuries can also be caused by slip-and-fall accidents, sports injuries, swimming pool injuries, assaults, and by dangerous and defective consumer products. Whenever someone else’s negligence is the reason for a brain injury, the victim is entitled by law to compensation. HOW COMMON IS TBI? WHAT CAN TBI TREATMENT COST? The Centers for Disease Control and Prevention tells us that more than 1.5 million traumatic brain injuries are reported each year in our country. Across the United States, more than a million patients are seen at emergency rooms every year for TBI. According to the Centre for Neuro Skills®, a mild brain injury can cost $85,000. A moderate brain injury can cost over $900,000, while severe TBI can cost a patient $3 million over a lifetime. And most TBI victims, as you might imagine, do not have a spare $3 million on hand. Healthcare activists in Illinois and other states have expressed concerns that there is inadequate federal and state funding for the facilities and programs that traumatic brain injury victims need. Therefore, unless they can prevail with a personal injury claim, very few families can afford to pay for quality, long-term care for a loved one who is struggling with a traumatic brain injury. WHAT BENEFITS MAY BE AVAILABLE TO TBI VICTIMS? In some cases in Illinois – if the accident that caused a brain injury was employment-related – some TBI victims will qualify for workers’ comp benefits, but workers’ compensation payments cannot cover the complicated long-term medical care that most TBI victims will require. 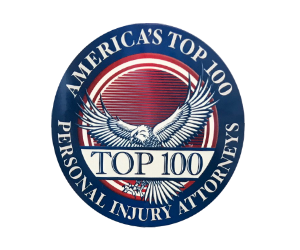 An experienced Chicago personal injury attorney can review a brain injury victim’s case and determine if you have sufficient legal grounds for filing a personal injury claim. Your injury lawyer may work with accident reconstruction specialists, medical authorities, and other specialists to produce evidence on your behalf. Injured victims of negligence are entitled to compensation – when they can prove that they are in fact victims of someone else’s negligence. WHAT HAPPENS IF YOU SUSTAIN A TRAUMATIC BRAIN INJURY? If you think that you’ve sustained a brain injury, or if a doctor who examines you suspects TBI, you will probably be sent to a neurosurgeon who will probably order scans to see how serious the injury is. You might undergo surgery for bleeding on the brain or related symptoms of TBI. If you have surgery, it’s followed by a period in intensive care, and then you’ll probably be transferred to the hospital’s neurological unit. For many TBI patients, that’s just the start of life-long treatment that may involve multiple surgeries and extensive therapy. If your brain injury was caused by someone else’s negligence, an injury attorney can work to obtain the maximum possible compensation on your behalf. HOW CAN TBI AFFECT ITS VICTIMS? Some TBI patients recover, especially from mild and moderate brain injuries, but many will struggle with TBI for the remainder of their lives. A brain injury can affect a victim’s memory, thinking, balance, vision, sleep patterns, and hearing along with moods, attitudes, and emotions. A TBI patient must follow his or her doctor’s suggestions and be entirely truthful. Disclose your full medical history and any other important details about your medical history and condition. If you are involved in a traffic collision in Illinois, do not refuse a medical examination. You can find excuses like the fear of medical costs and the fear of missing work. Forget the excuses. Latent and hard-to-detect injuries frequently happen in traffic accidents. WHY IS A MEDICAL EXAM IMPERATIVE AFTER ANY TRAFFIC ACCIDENT? Have a medical exam within twenty-four hours of a traffic accident – if you’re not taken directly to a hospital from the accident scene. If there’s a latent injury, a quick medical exam can establish that you were injured in a particular accident – and not at some other time or place. You’ll need that medical documentation later if you and your attorney proceed with a personal injury claim. Without it, the negligent person who injured you will claim that you were injured in another way or that you are not really seriously injured. The brain is a complicated piece of equipment, so it can be impossible to know what the long-term effects of a brain injury can be. Serious brain injuries can impact a victim for years after the injury happens. Some TBI victims will struggle with basic thinking skills, with the ability to concentrate, and with learning anything new. TBI victims can be reticent or impulsive and talkative or withdrawn. Traumatic brain injuries may cause depression, irritability, mood swings, or even aggressiveness. WHY IS IT SO VITAL FOR TBI VICTIMS TO HAVE LEGAL HELP? However, increasing public awareness about TBI has influenced more victims to come forward and seek help. Victims who suffer the most serious brain injuries routinely prevail with their personal injury claims. However, when a brain injury is moderate or mild rather than severe, and when the prognosis isn’t certain, it may be more difficult for a victim’s injury claim to succeed, and a TBI victim will need the advice and services of an experienced Chicago personal injury attorney. An injury victim has the right to a good lawyer’s help. If you sustain a brain injury in Illinois, and if someone else is responsible for that injury, exercise your rights – and arrange at once to meet with a reliable and experienced personal injury lawyer.